Eventually he sidestepped the mechanics of stardom to become Britain's biggest underground household name, much loved and much misunderstood. 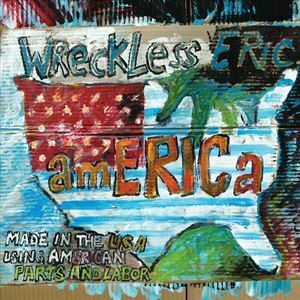 Wreckless Eric released three albums on Stiff Records between 1978-1980 - "Wreckless Eric", "The Wonderful World of Wreckless Eric" and "Big Smash". In the 1980's he formed groups The Captains of Industry, The Len Bright Combo (with ex-members of Thee Milkshakes), The HItsville House Bandand Le Beat Group Electrique.